The Prague Metro is a subway, underground public transportation network in Prague, Czech Republic. It is the fastest means of transportation around the city and serves about one and a half million passengers a day, which makes it the seventh busiest metro system in Europe and the most-used in the world on a per capita basis. Over 500 million passengers use the Prague Metro every year. 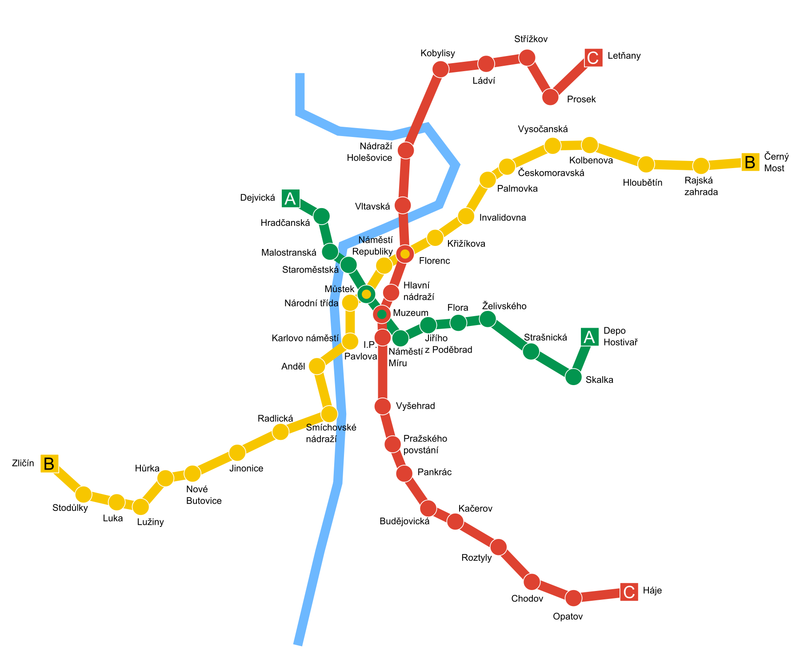 Prague metro: Tourist and practical information about Prague metro. Prague Integrated Transport consists metro, trams, buses and more.